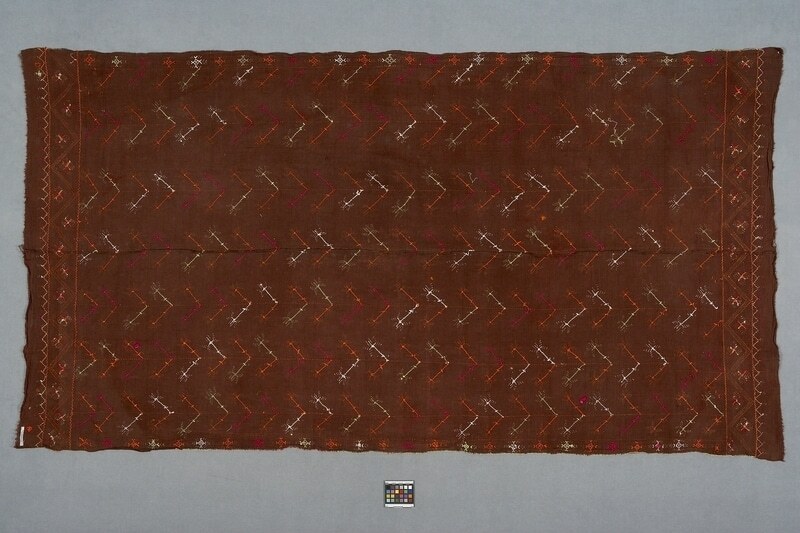 Rectangular brown cover with embroidery. The cover is made from two pieces of cloth sewn lengthwise. Embroidered on the front is a geometrical pattern with longitudinal vine and leaf motifs. 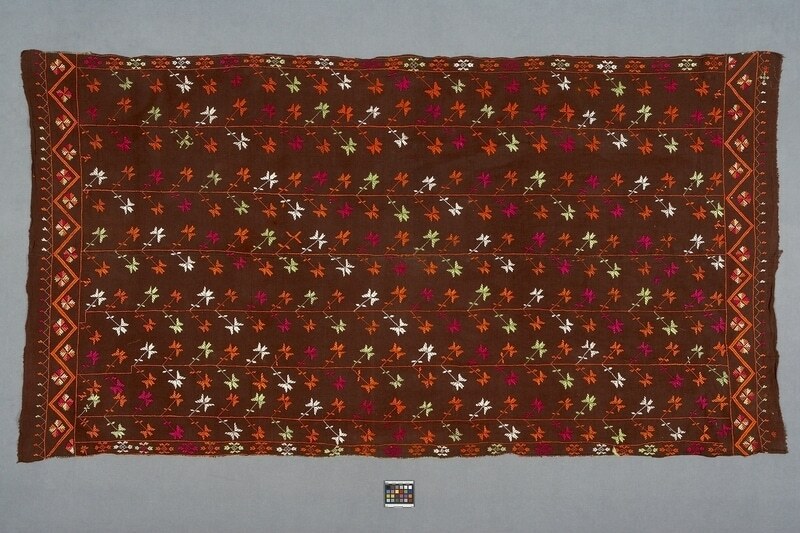 There are borders on the ends with zigzag and floral motifs. The sides are finished with green blanket stitches, the ends are unfinished. The back is unlined.